13. Other items that the service provider believes are not in compliance. 6. The Chinese Federation restricts the transportation of LED-type articles containing brand logos, CE or UL, ROHS, RU, FCC and other certification marks, circuit boards, books, and auto parts. 6) If there is no special explanation, the information uploaded by the sender will be used as customs clearance information. If the sender provides false information, resulting in delays in transportation, customs deduction, fines, etc., the sender must bear all economic losses and laws. Responsibility, the service provider does not assume any responsibility and reserves the right to pursue legal liability to the sender. When the sender submits the shipment to the service provider's designated consignee, it shall also provide a “delivery list” that matches the current shipment as required. After confirming the correctness, both parties shall sign the “delivery list” as The voucher for the delivery of the shipment. 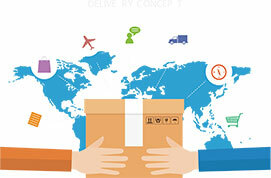 When sending the goods to the service provider through domestic express delivery, the sender should log in to the logistics system to add the information of the sent goods. If the goods fail to comply with the requirements, the service provider will not be able to identify the sender's information. The service provider will provide 1 For the retention period of the month, the sender must contact the service provider for the duration of the custodial period. If the overdue period is over, the goods will be destroyed and the goods will be destroyed. Shipments delivered by the sender to the service provider should be handled as required, especially for valuable, fragile, and fragile shipments, which must be properly packaged prior to shipment to ensure proper handling under normal conditions. The delivery information needs to be provided with the shipment and complete customs clearance information if necessary. The shipping cost is the total shipping cost actually generated by the sender under the user account registered with the service provider's official website. Service providers have the right to adjust shipping prices based on market conditions. The price adjustment will be notified to the sender by email. The compensation involved in all shipments shall be in accordance with the relevant compensation clauses of the sender's choice of shipping method. If the sender needs a greater degree of protection, the commercial provider's logistics platform may choose to purchase commercial insurance. * The insurance premium is charged by the service provider. Once the insurance service provider will make a claim against the insurance company, the sender must provide the information required for the claim as required. If the sender cannot provide the claim information, the sender cannot be compensated. Take responsibility at your own risk. Due to the unsuccessful delivery of the shipment or the rejection of the recipient, the service provider will charge the refund according to the shipping standard selected by the sender, including the warehouse charge and customs clearance caused by the return. Fees, etc. The service provider's quotation is only freight and fuel surcharges, excluding customs clearance fees for goods at the destination customs, warehouse fees due to customs clearance delays, and other taxes or fines imposed by the destination country. All such fees incurred by non-service providers will be charged by the service provider to the sender, as such fees may not be notified prior to shipment, and the final fee amount is subject to the carrier's bill. In the absence of other agreements, the settlement period and method accepted by the service provider is prepayment, that is, the settlement service method in which the sender first pays the service provider in advance. The service provider can issue an invoice to the sender, the invoice header must be consistent with the sender's registration information body, and the invoice will be issued once a month. The sender shall provide the relevant information to the service provider for filing and pay a 6% VAT tax point. 4) If the recipient address has a centralized receiving point, the shipment will be dispatched to the receiving point. 4) Unable to identify or find the recipient. The service provider ensures that the abnormal situation that has occurred during the shipment of the shipment has been promptly fed back to the sender and actively coordinated. 3) If the sender cannot provide timely advice or the destination government cannot accept the sender's comments, the service provider may have the right to waive the shipment without any liability to the sender or others. 2) If the goods are returned to the service provider's UK processing center, the sender can choose to change the delivery. In addition to receiving the new address and shipping fee, the sender must also bear the 50/voucher reissue processing fee. The sender can choose to destroy the returned shipment by the service provider. The destruction cost is 1 yuan/kg. If the shipment returns the actual related expenses, the sender must pay the service provider. * Electromagnetic damage or deletion of electronic audiovisual pictures, data or records. The sender will be required to accept all routes and detours arranged by the service provider and the superior carrier, including possible transit terminals, and the resulting service aging will not make any commitment. The delivery time announced by the service provider website is from the time when the corresponding inquiry website has an operation record until the arrival of the shipment, but does not include the time when the service provider picks up the item, the time of sorting at the sorting center, and the customs clearance time. The service provided by the service provider to the sender is not a timed or time-limited service. The shipping time limit of the shipping method published on the service provider's official website is for reference only and is not used as a basis for delay in shipment delay. The service provider logistics system shall keep the information of the number and amount of shipments sent by the sender in the system for one month. If the sender needs to retain the data, it should use the service provider logistics system tool export form to save it. 5) The sender should ensure that the shipment information is detailed and accurate at the time of shipment. Please provide relevant information about the shipment when inquiring, such as the information when the shipment is sent does not match the information submitted when the inquiry is submitted, or the sender submits the information. If the shipment information does not meet the query conditions, the carrier refuses to inquire, and all losses and liabilities are borne by the sender. Due to the limitations of the time, space and transit links of international shipments, there are differences in the query periods of different countries and different modes of transportation. Service providers will try their best to check the shipments for the senders, but not for the superiors. Delayed response is responsible. Any claim must be made after the service provider's various shipping method enquiry period ends. The sender must provide proof of lost, damaged or incorrect shipments, such as recipient instructions, photos, etc. *Special line and express business weight difference Service providers with a weight difference of less than 500 grams will not notify the sender, based on the actual receipt data of the service provider; if the weight difference is more than 500 grams, the service provider will notify the sender by phone. Transfer the shipment to the superior carrier. The quantity and weight difference service provider only bears the feedback obligation and is not liable for the loss caused by the difference. 1) The service provider is internally lost: The sender will deliver the shipment to the service provider staff to confirm the receipt, until the service provider delivers the shipment to the superior carrier, if the shipment is lost, the service provider will be liable for compensation. The declared value entered by the sender in the service provider system (reported at the retail price) or the actual value of the product (ie the proof of purchase and invoice provided by the sender), whichever is lower. The maximum compensation for a single shipment does not exceed $100. After the service provider delivers the shipment to the superior carrier, the superior carrier will provide the relevant handover certificate. If the shipment is lost, the liability lies with the superior carrier. The service provider will assist the sender in the direction of the superior carrier's claim, and the amount of the claim is executed in accordance with the compensation provisions of each shipping method. Cash, flammable, explosive, fragile items, items that infringe copyright, intellectual property rights, illegal items, and embargoed items stipulated by airlines and laws, the sender has clearly understood that the service provider will not be transported. The service provider will not be liable for any damages caused by the sender's violation of the above prohibition of shipping regulations, and reserves the right to pursue legal liability to the sender. If the recipient of the sender receives the shipment and finds any damage or adjustment, the sender shall promptly request the recipient to provide the photo certificate and the manifest number to the service provider. * Send the wrong address to the correct address to transfer the postage of the shipment. 3) The service provider shall not be responsible for any disputes arising from the brand and quality of the goods shipped by the sender. 2) The content of the sensitive information in the industry that the sender provides for the service provided by the service provider shall be kept confidential by the third party. Such information includes the agreed rate, financial status, technical information, etc. 3) The sender must ensure the security of the account and password registered in the service provider logistics system. If the account is stolen due to improper storage by the sender, and the account information has been tampered with, etc., the service provider will not bear any responsibility. responsibility. 10. Legal application and dispute resolution If the sender has any dispute over the content of the terms or its implementation, the parties shall try to resolve it through friendly negotiation; when the negotiation fails, either party may file a lawsuit in the people's court where the service provider is located. Any part of these Terms is invalid or unenforceable and does not affect the validity and enforcement of the other terms.